[H. Bucholzer]. Matty Taking His Second Bath In Salt River. New York, 1844. Political Cartoon Collection. 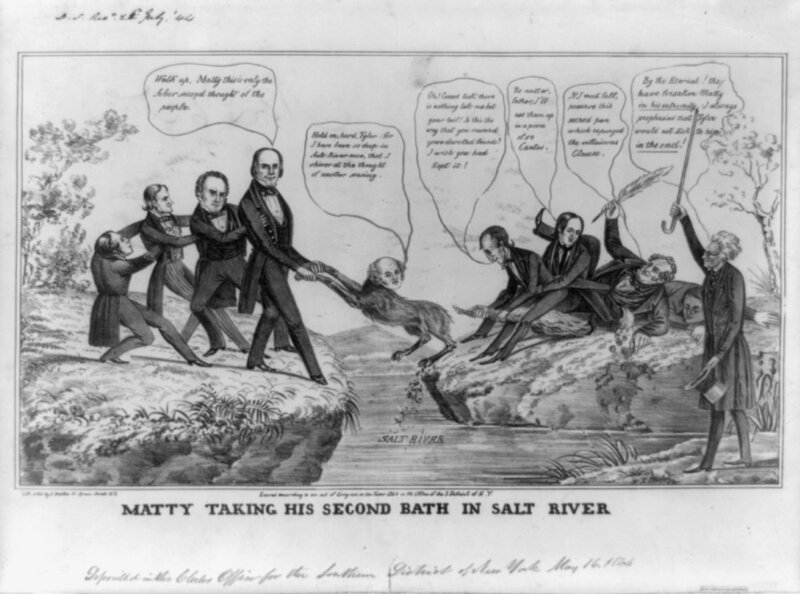 This lithograph was published just before the 1844 Democratic convention, predicting would-be nominee Martin (“Matty”) Van Burren’s second “bath in Salt River”—his first being his unsuccessful bid for reelection in 1840. The term “Salt River” was a nineteenth-century colloquialism for political failure or misfortune. Whigs Henry Clay, Daniel Webster, and others pull a fox with Van Buren’s head from the opposite bank into “Salt River.” Van Buren was often referred to as the “Red Fox of Kinderhook.”) Van Buren is supported—left to right—by incumbent President John Tyler, Tyler’s son Robert, Senator Thomas Hart Benton, and another man. Tyler holds the fox’s tail, which has just come off in his hands. Andrew Jackson stands apart, waving his cane. His comment distills the cartoon’s message: that the Van Buren’s campaign suffers from erosion of traditional Democratic support and by internal divisions within his party ranks. “Sober second thoughts” was a catch-phrase in the 1840 campaign, referring to Van Buren’s desertion by working-class voters. Robert Tyler was a published poet. The expunging quill was a memento of Benton’s successful campaign to strike the Senate’s 1834 censure of Andrew Jackson from the congressional record. A Correct Chart of Salt River. Philadelphia, 1848. Political Cartoon Collection. This heavily-encoded lithograph satirizes the 1848 presidential election. “Salt River” winds upward from Ohio River (a Democratic stronghold in 1848) to Lake of Oblivion with an island upon which sits the “Mansion of Despair.” The “Fast Sailing Steamer Free Trade,” captained by candidate Lewis Cass and piloted by Thomas “Father” Ritchie, editor and Polk administration spokesperson, sets out on the “Slough of Despond” (a landmark from Bunyan’s Pilgrim’s Progress). John Van Buren, a Free Soil Party leader, encouraged his father to pursue the nomination. The main branch of the river continues to “Pillow’s Cemetery,” named after General Gideon Pillow, who conspired against Winfield Scott, the popular Mexican War commander and friend of James Polk. Notably, “St. Anna Pass” is named after the Mexican commander Santa Anna, whom the Polk administration returned from exile only to have him lead the war against the Americans. [John Cameron]. Col. Fremont’s Last Grand Exploring Expedition. New York, 1856. Political Cartoon Collection. This lithograph ridicules Fremont and his abolitionist supporters, especially his alliance with the New York Tribune editor Horace Greeley and Henry Ward Beecher, during the Bleeding Kansas. 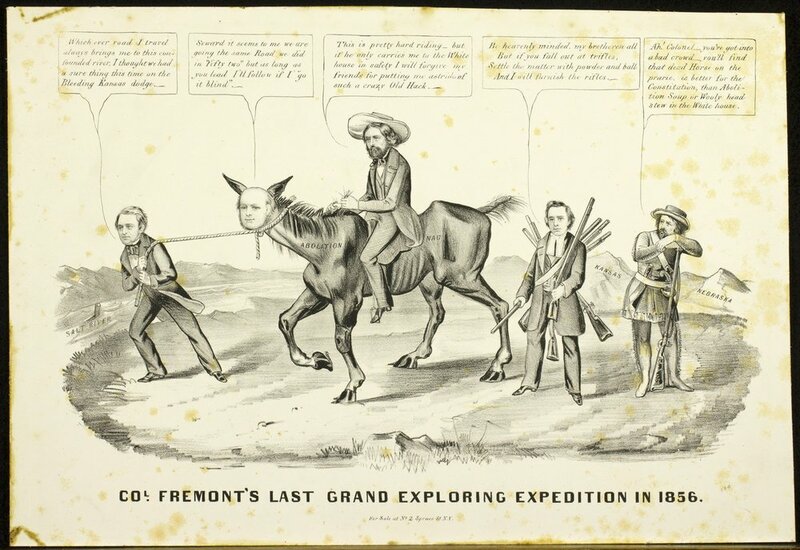 John Fremont, the 1856 Republican presidential candidate (and former explorer) rides a scrawny “Abolitionist nag” with the head of Horace Greeley. The horse is led toward the “Salt River” by prominent New York politician William Seward. The radical abolitionist minister Henry Ward Beecher follows, laden with rifles, while a frontiersman comments on the scene. Beecher had furnished antislavery emigrants with arms to participate in the struggle between proslavery and antislavery settlers in Kansas. Salt River Ephemera Collection, 1852-1872. John A. McAllister Collection. The Salt River genre was especially popular in Philadelphia, though it is not clear how widespread its was elsewhere. References to the term appear in print as early as the 1830s, and “A Correct Chart of Salt River” (also on display) shows the course of the river flowing from Lake Oblivion to the Ohio River. There is, in fact, a Salt River which rises in Kentucky and joins the Ohio River at West Point, Kentucky, twenty miles south of Louisville. 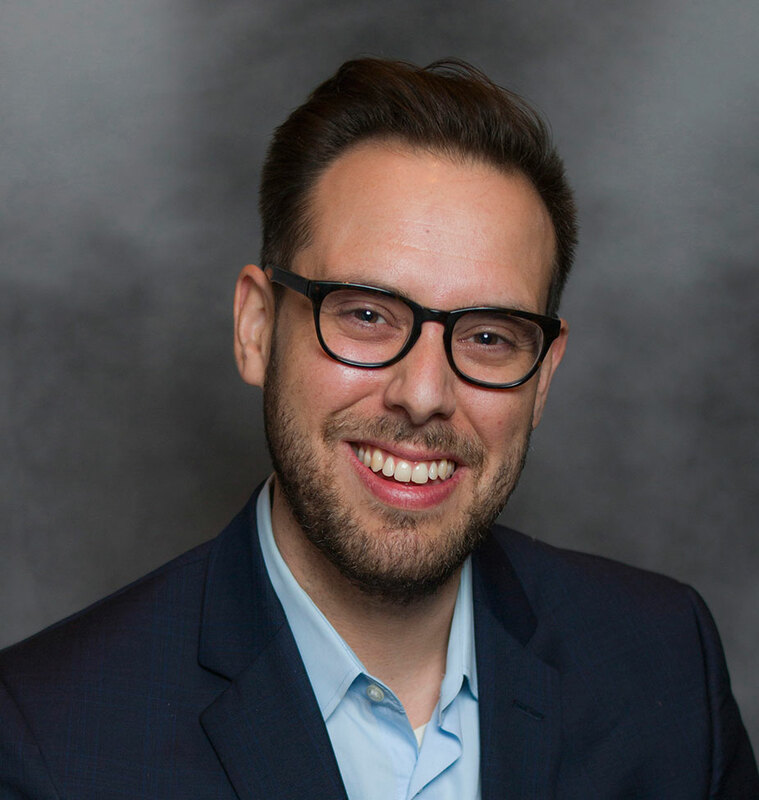 One theory of the term’s origin comes from a legend of a politician who was traveling up the Ohio on his way to deliver a campaign speech at Louisville, and was guided instead up the Salt River by a river pilot working for the opposing party, thereby missing his appointment. The Salt River Ephemera Collection contains a range of printed materials, including small tickets, handbills, and broadsheets, an assortment of which will be on display during the seminar.